It’s no surprise to anyone – author or not – that every good story needs a beginning with an interesting premise, a middle that’s full of conflict, and an ending that more-or-less resolves it all. I know a lot of indie authors who have a gazillion good ideas that would make fabulously great story starts, and many who know that spectacular events are not what conflict is about … good conflict is about emotions. But I’ve seen some stories that just … end … and leave you wondering if the printer forgot to include some pages, or the digital cloud decided to swallow a few. Some end so abruptly it’s as if the author failed to understand that, when crafting a story, you need to give substantial thought to the conclusion. By that, I don’t mean merely tacking on the-good-guy-gets-the-girl, or the-bad-guys-lose. If you think about it, life seldom resolves anything like that. When it does, we usually call the outcome cute. When I say give thought to your ending I mean, in terms of your plot, what do you need to put into the final 1,000 words, if cute isn’t your target? It seems to me this should be a no-brainer … but in the new indie-publishing world, how many weak story resolutions have you read? It doesn’t have to be a happily-ever-after ending, but you do need to tie-up any loose ends. Also, keep in mind readers generally look for something uplifting, regardless of genre. I always try to leave something to feel positive about, even in disheartening scenes, because whether they admit it or not, it’s what readers really want. As an author trying to please your audience, so should you. No, I’m not suggesting you write O. Henry-ish twists or Twilight Zone endings into your stories. But you don’t have to establish a picture-perfect moment either, where every minor contentious issue is neatly solved. Yes, every question you planted earlier in a reader’s mind should be addressed, but the answer could be to suggest that a known character … or another one yet to come … might address that minor issue later, after the book ends. And the resolution doesn’t have to be one that seems expected. In fact, it’s sometimes a stronger story if it isn’t … as long as what happens is consistent with the facts that have already been presented … and avoids those pesky contrived twists. When you begin the journey of writing your novel, you should also try to have an established destination. I’m not suggesting writing to an outline. I can’t work like that and I wouldn’t ask you to do it, either … although I know a lot of authors prefer to work that way. But even though I don’t create an outline, I have to admit it doesn’t hurt to have some idea where the characters … the main ones, anyway … are likely to be headed. How they actually get there is the “something” I leave up to the characters to discover as I write. I find it much easier to make detours, twists and turns in my storytelling by using such tactics, because I’m often surprised by where a character takes me … so my reader is going to be surprised, too. And that’s generally a good thing. But it’s always a good idea to create a feeling that the final words somehow hearken to an earlier moment in the story. No matter how many mistakes your main character has made along the way, allow the reader — and the character — to realize in the end, regardless of the outcome, he/she has done the right thing. Your ending will feel tacked on if the voice of the narrator suddenly sounds alien to the voice that’s been consistent for the rest of the book. The last impression you want to create is a positive one, at least as far as the story is concerned. So, even if your ending is not the most positive outcome possible for your characters, don’t leave your readers feeling tricked or cheated … or they won’t have nice things to say about your book, and they won’t be looking for your next one, either. I’ve said it before: Writing is vastly overrated. As hard as it may seem when you’re writing your story, it’s after you’ve written your last word that you really go to work. You actually begin to craft your work into a readable story in the editing, and you elevate yourself as a writer if you can polish your story until it dazzles. Your intent should be to leave your reader spent when he/she closes your book. Don’t use obscure words or elaborately complex sentences and, for heaven’s sake, don’t suddenly write complicated scenes with vague references or hidden meanings. 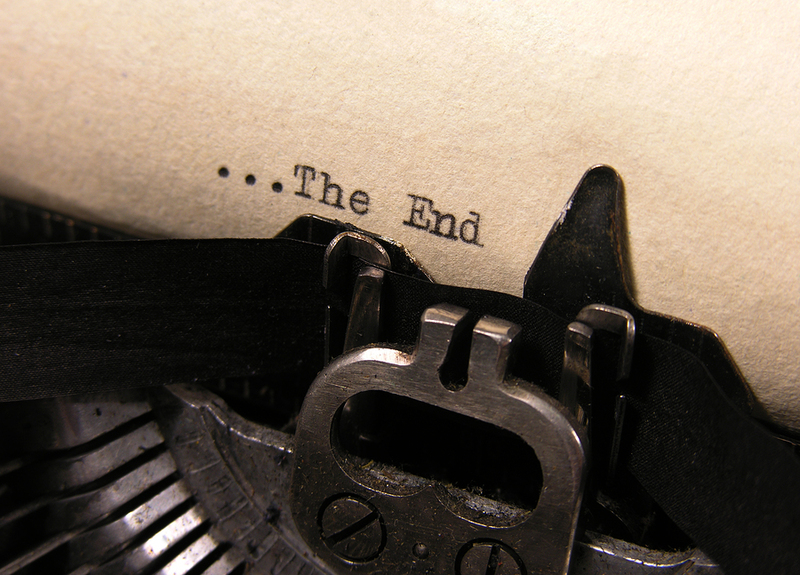 The ending, more than anywhere else in your story, is the place to be direct and assertive. So edit, edit and then edit some more, until you’re certain what you’ve done is the best you’re capable of doing. This is where you should put your best work, making sure everything that remains is essential. It’s hard to do … but your story (and your readers) will love you for it. As I’ve said in other posts, when I do this I sometimes wind up making changes that leave me with a manuscript that’s actually longer than when I started (good writing is often like that). But whether your climax is 1,000 words long or 10,000, your reader must feel as if they’re racing through it … and that they cannot possibly put your story down until it’s done. When that happens, you’ve got a winner … and nothing, my friend, feels better. This entry was posted on January 21, 2014 at 6:30 pm and is filed under Award-Winning Fiction, Market Your Book, Self-Published, Storytelling, The Dreaded Edit. You can follow any responses to this entry through the RSS 2.0 feed. You can leave a response, or trackback from your own site.